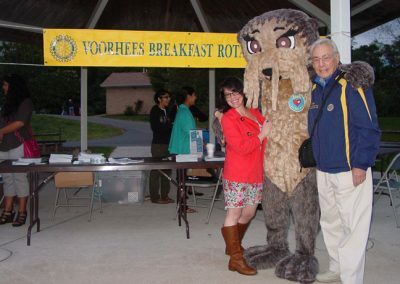 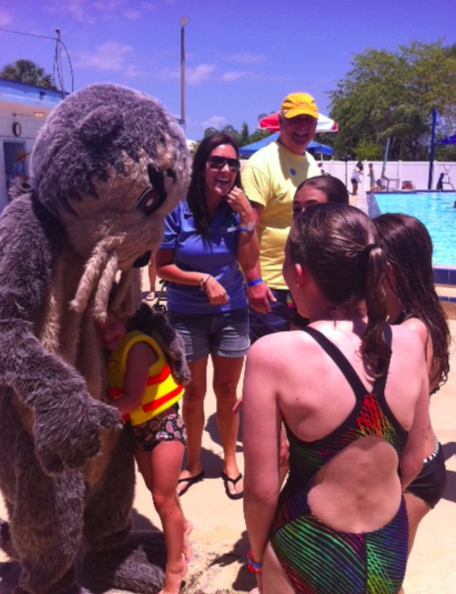 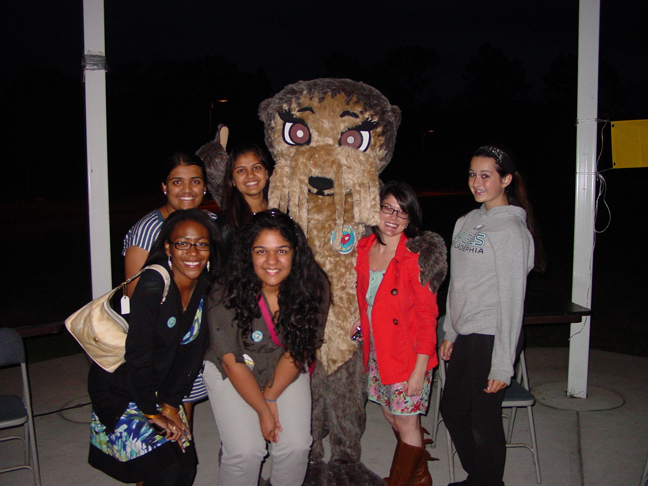 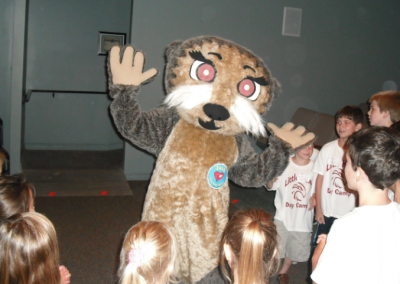 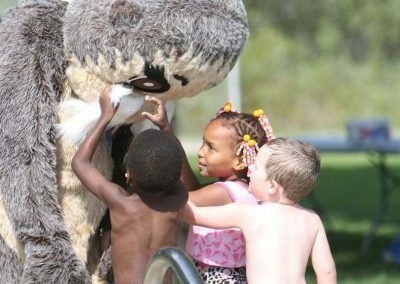 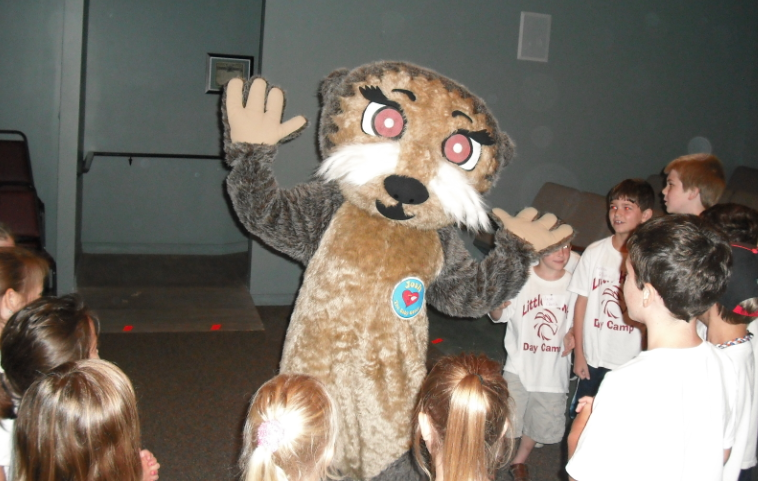 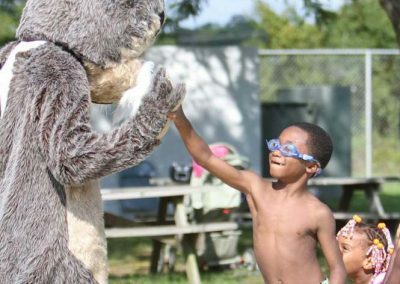 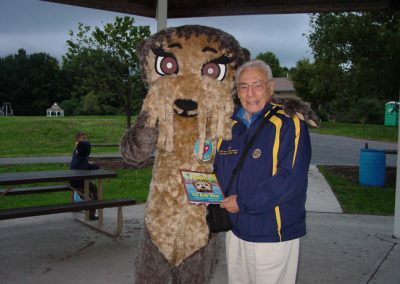 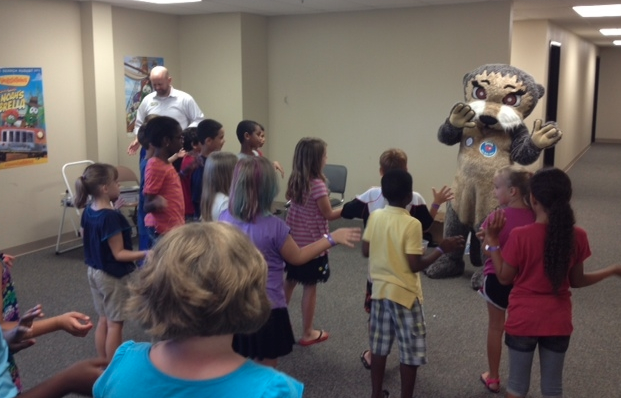 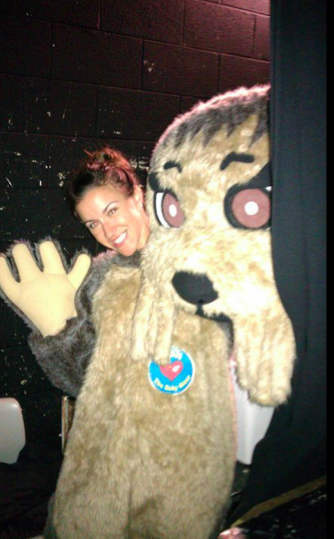 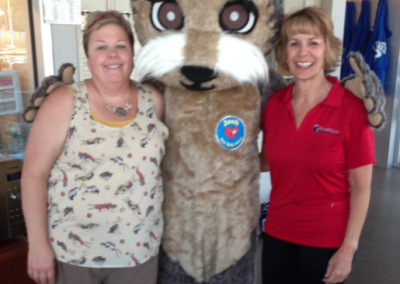 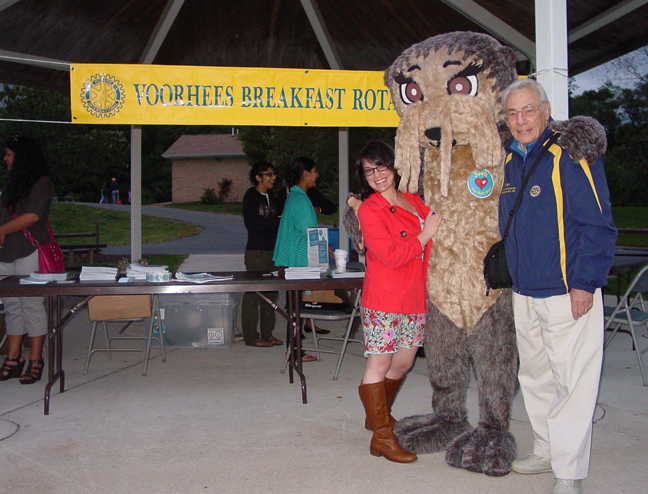 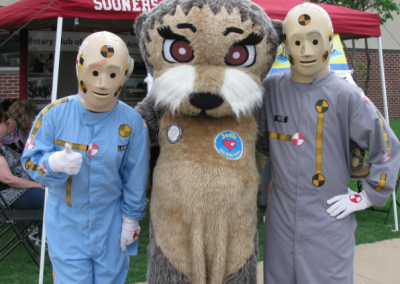 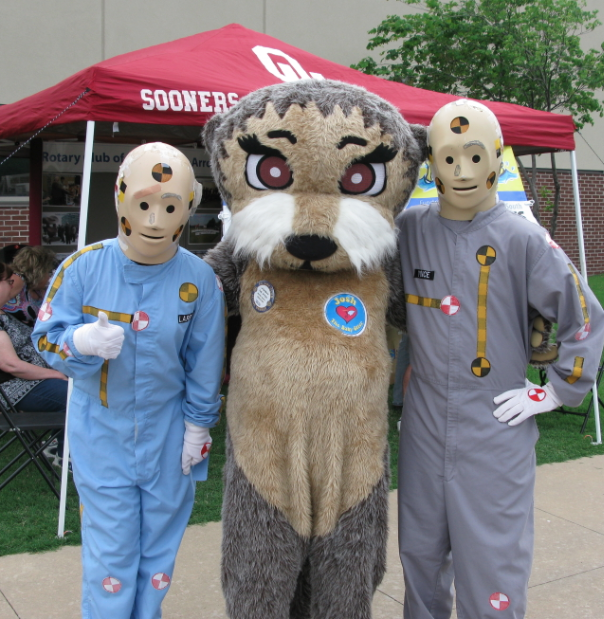 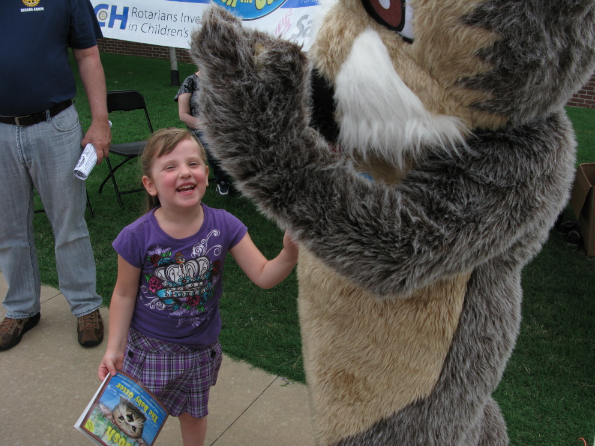 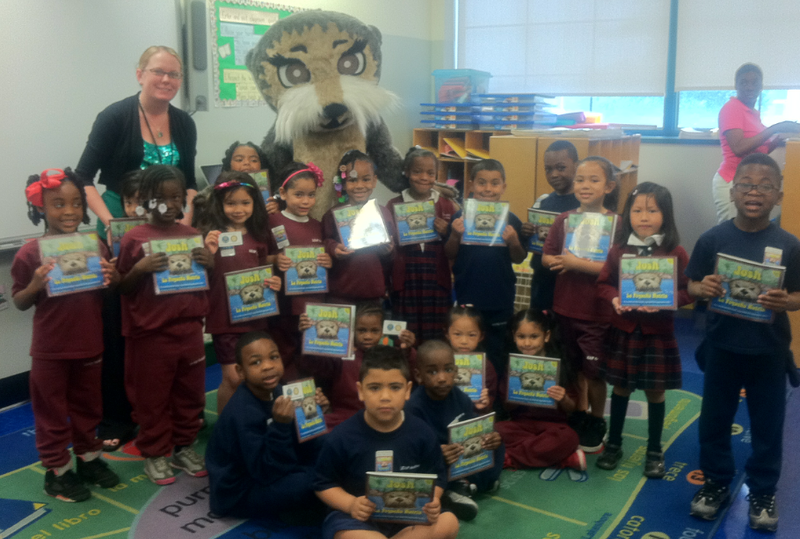 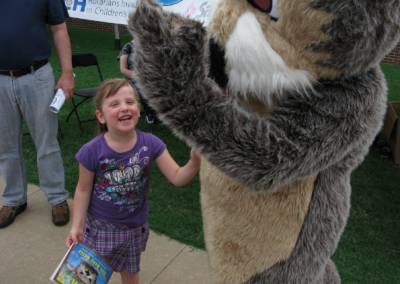 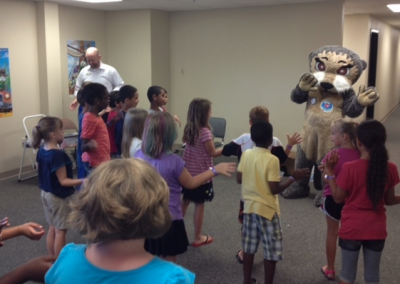 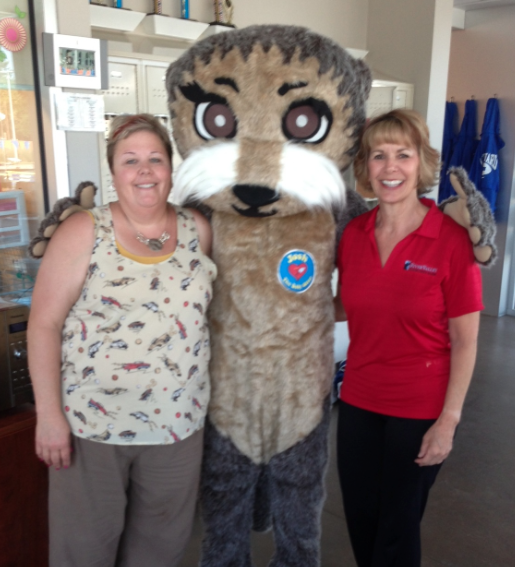 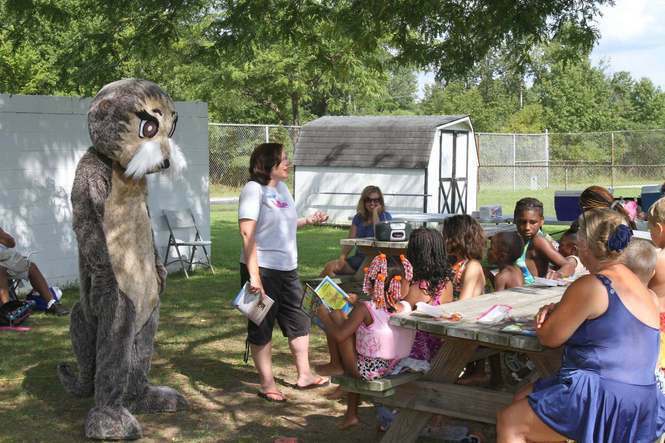 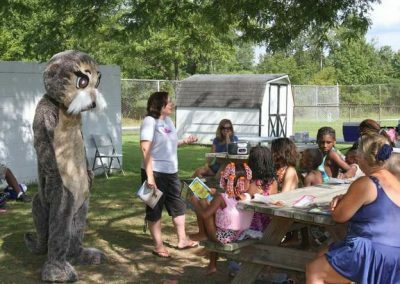 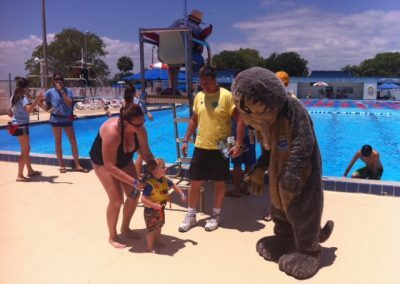 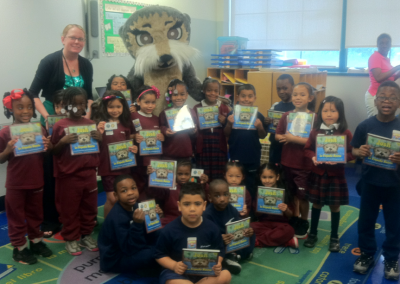 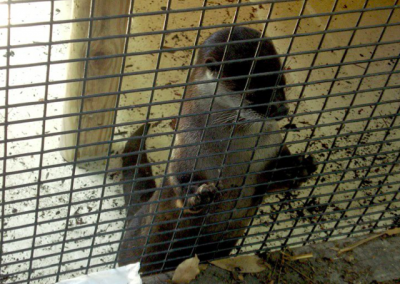 Photos & Video of Rotarians in Action with Josh the Otter! 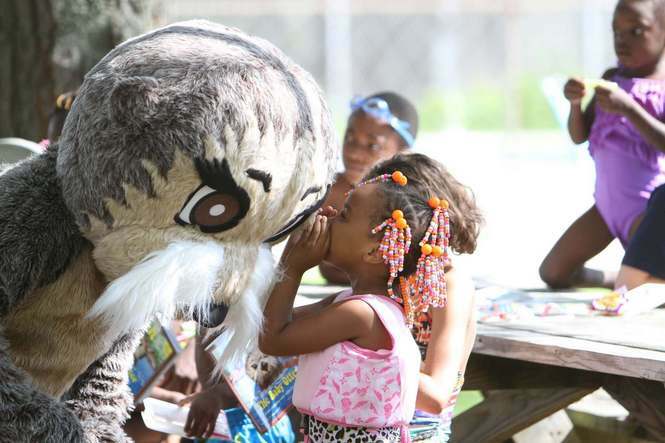 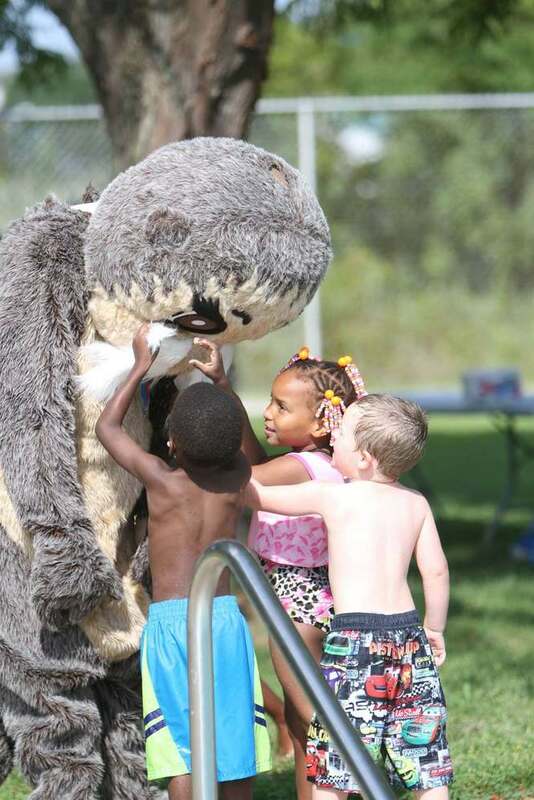 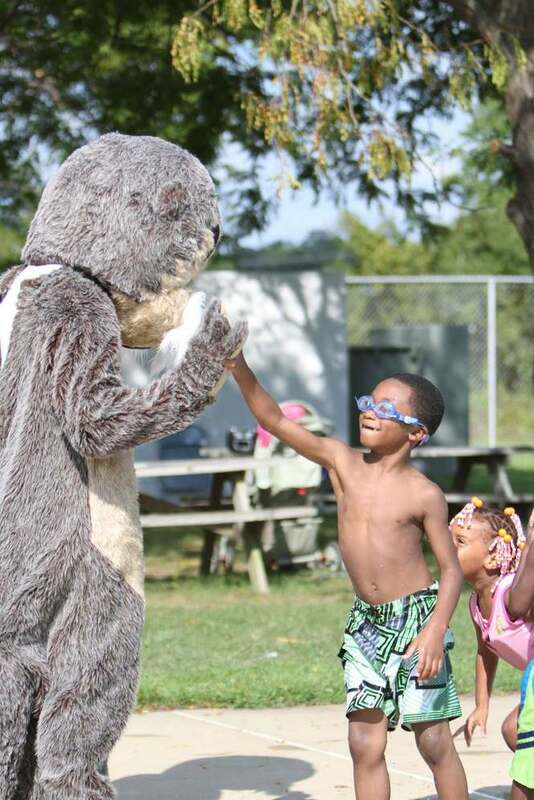 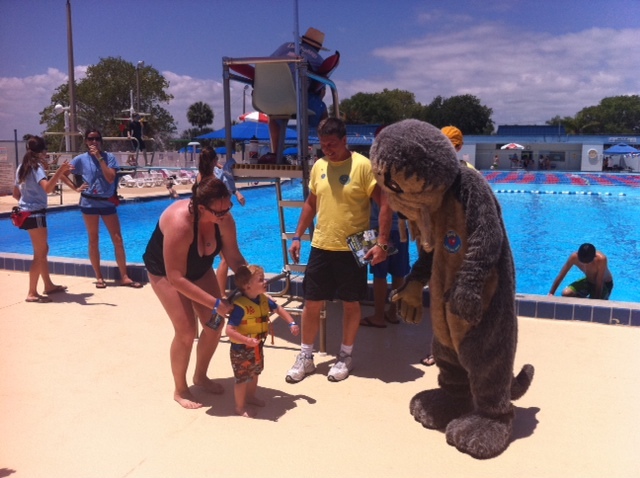 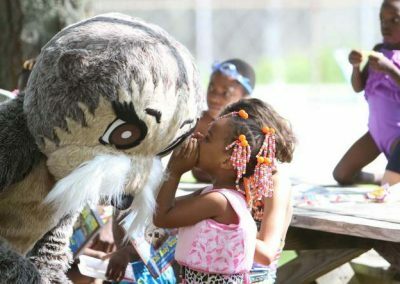 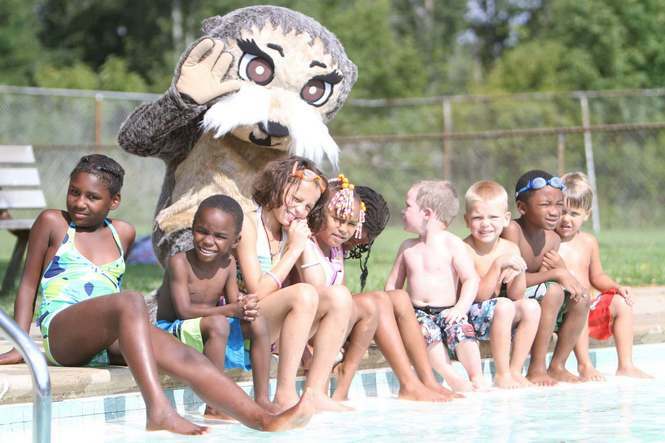 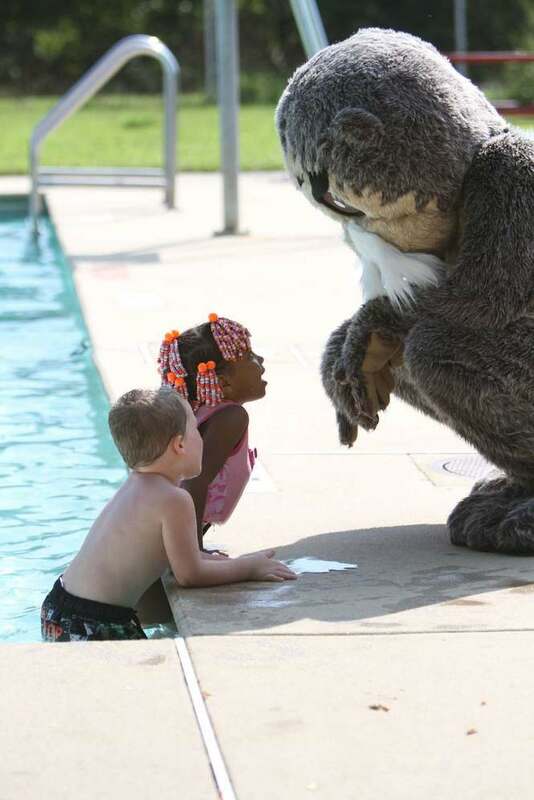 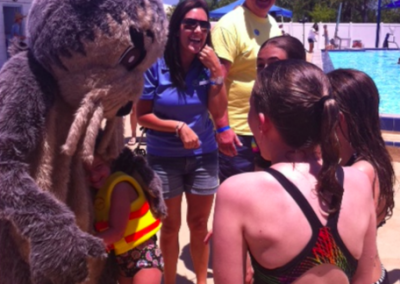 Josh the Otter at Salem Pool in New Jersey District 7640! 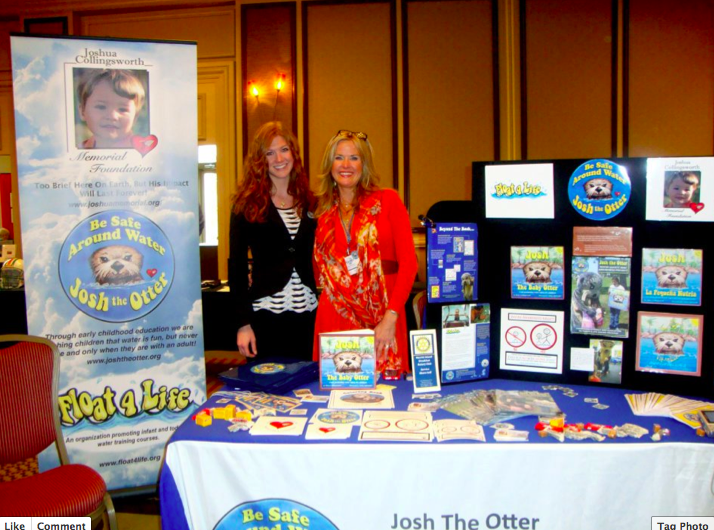 Susan Smith, Vero Beach Oceanside Rotary, introducing Josh the Otter! 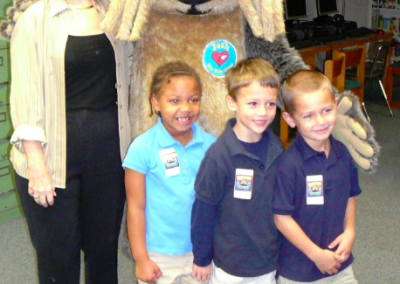 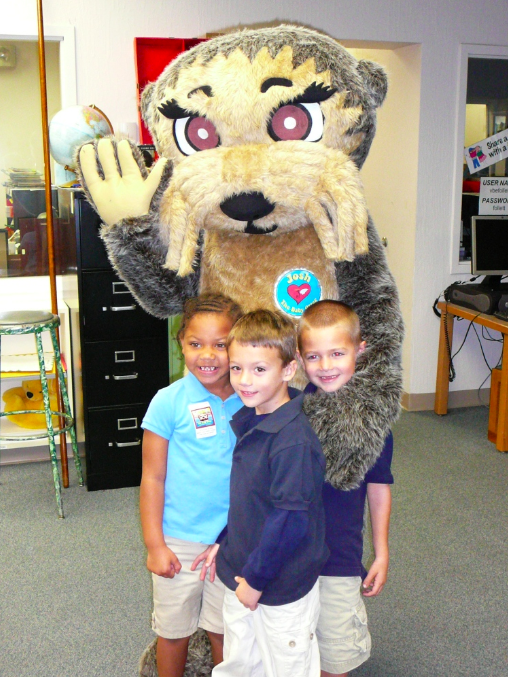 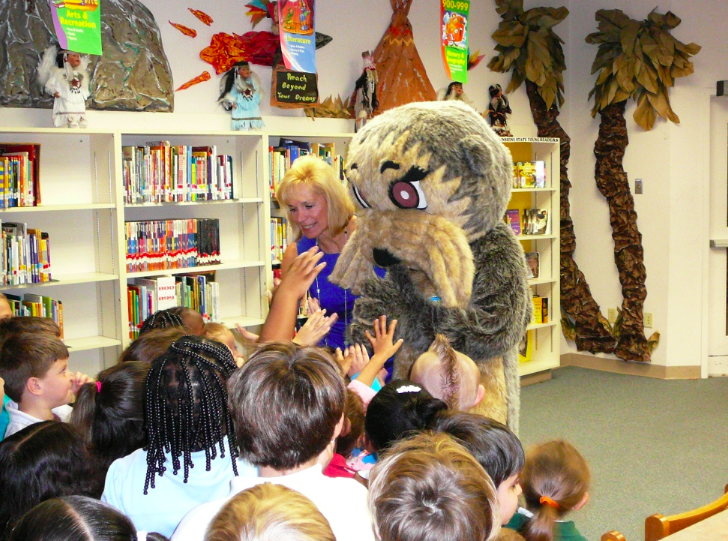 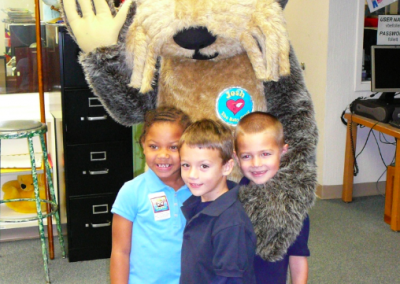 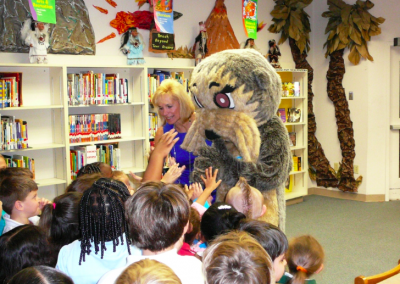 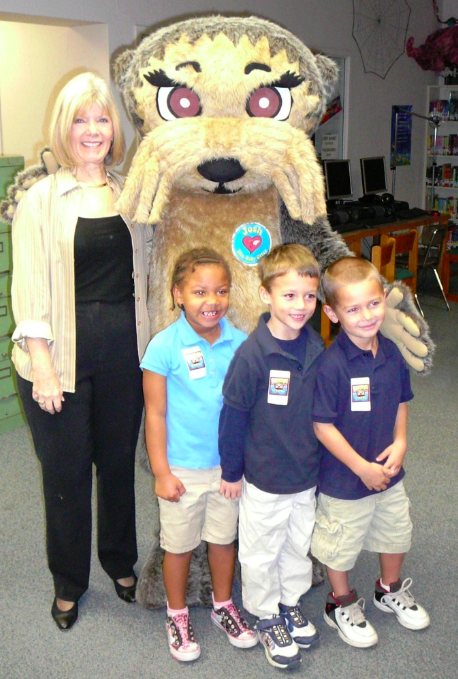 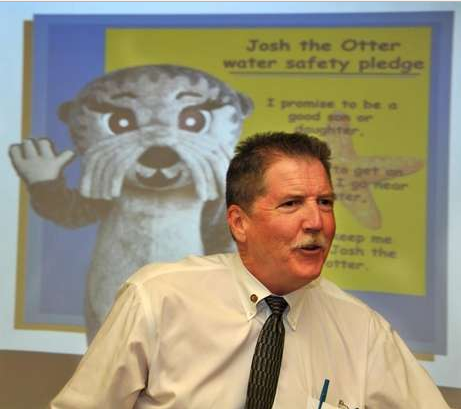 Clair Brunetti, Vero Beach Oceanside Rotary, introduces Josh the Otter to Kindergarten Students! 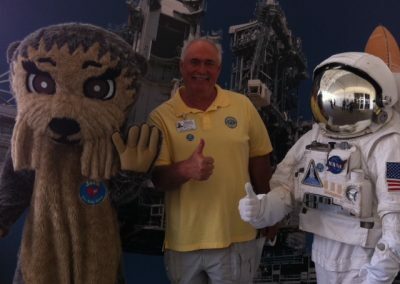 Jim Underwood, Merritt Island Breakfast Rotary Club, takes Josh the Otter to the moon! 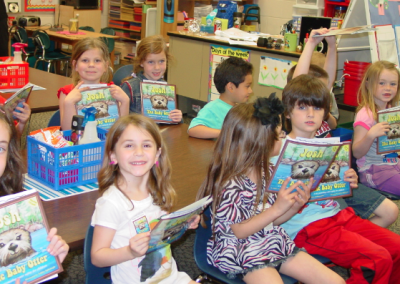 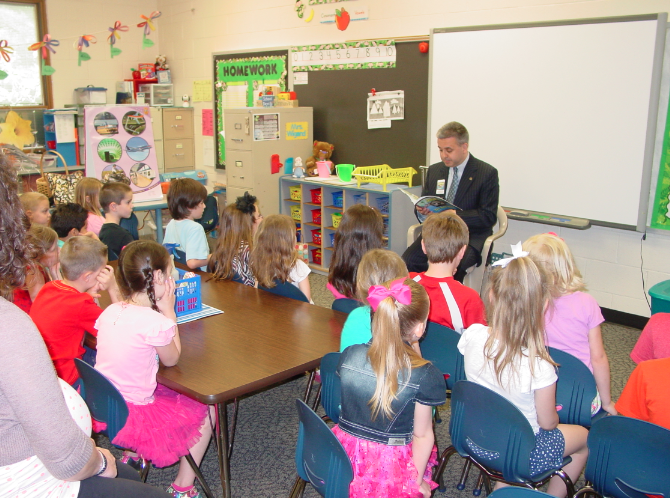 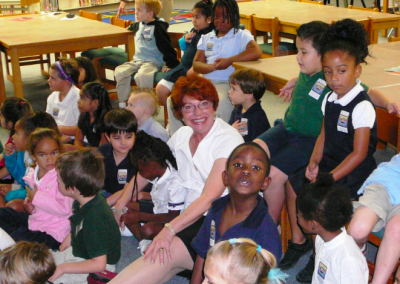 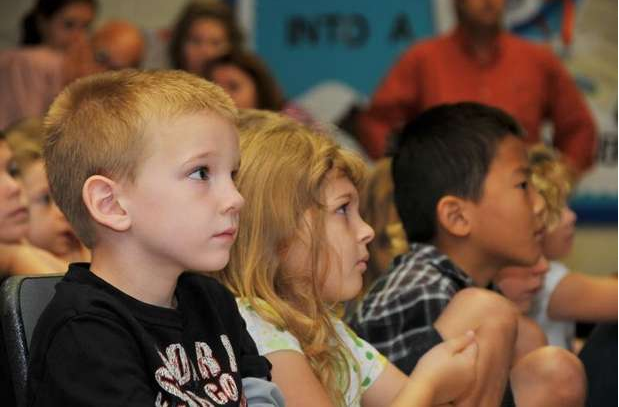 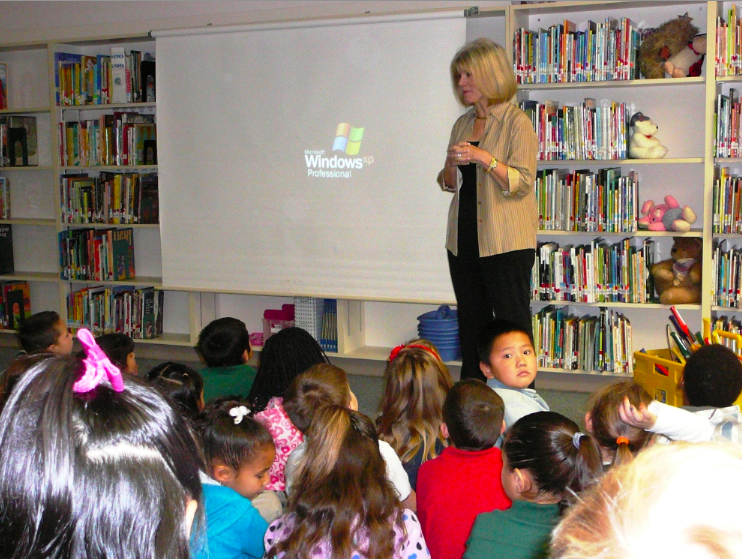 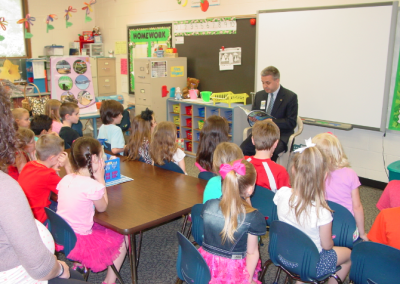 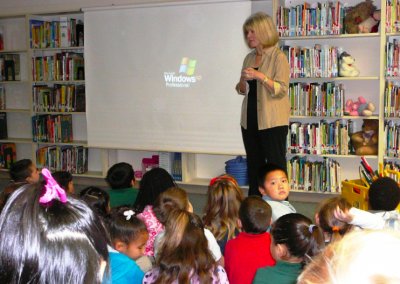 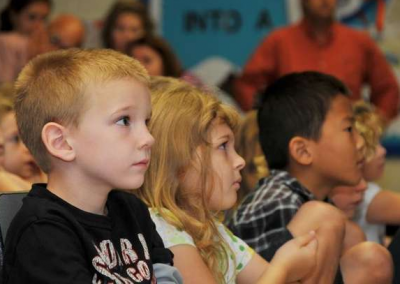 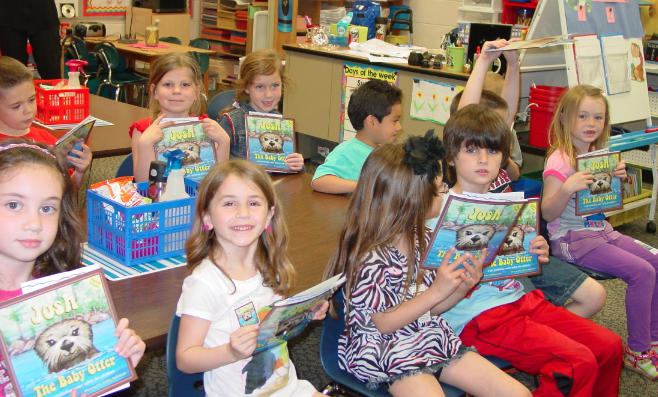 Bonnie Simpson, Orchid Rotary Club, sits with children during the Josh the Otter reading. 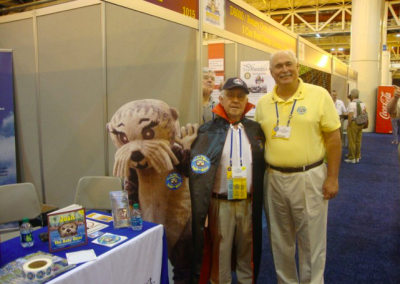 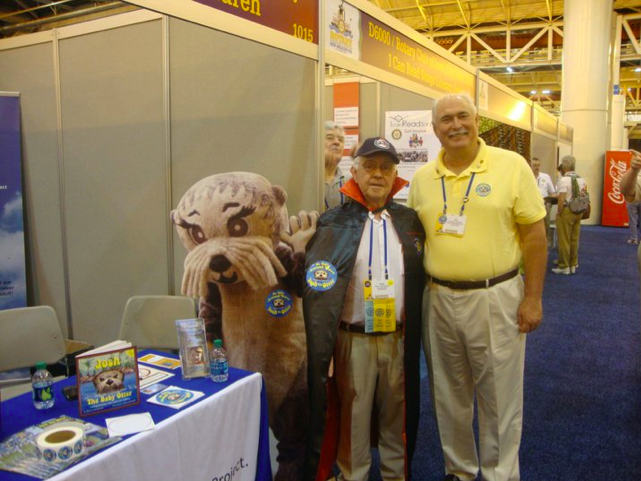 District 6930 sponsored our Josh the Otter project booth at the Rotary International Conference in New Orleans! 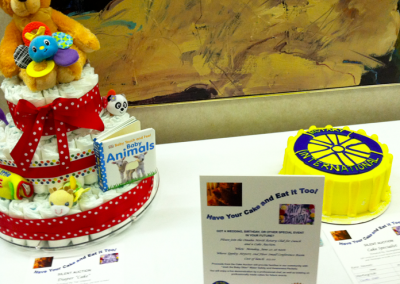 Omaha North Rotary Cake Auction Fundraiser for Josh the Otter Project! 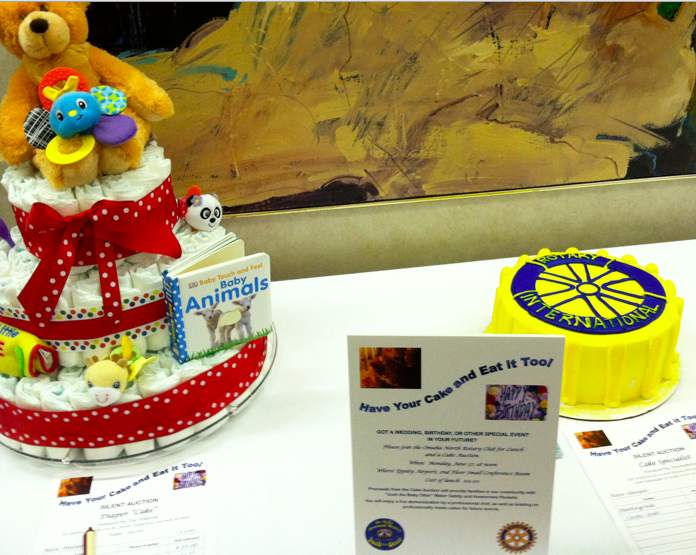 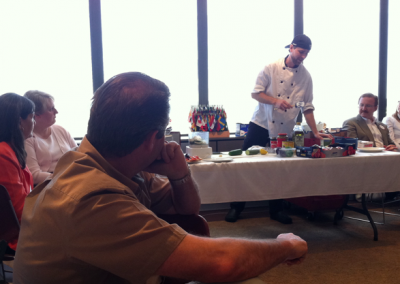 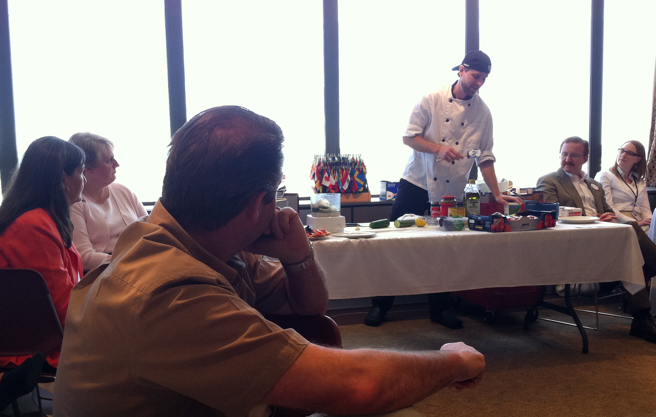 North Omaha Cake Auction Fundraiser–even had a food demonstration! 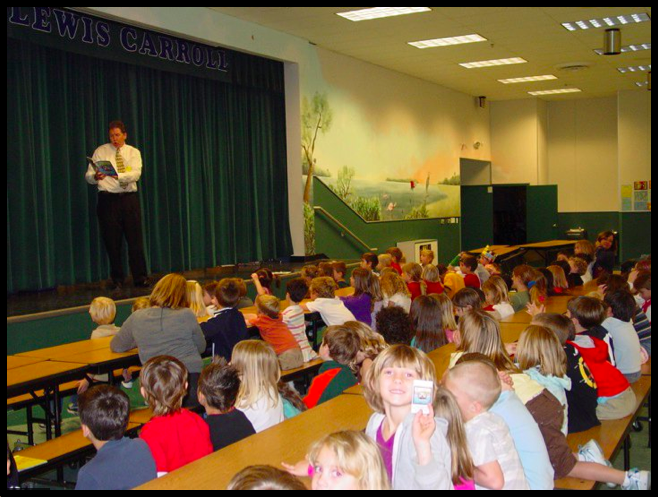 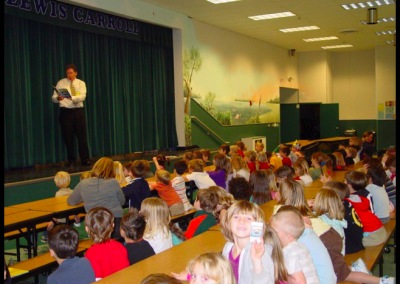 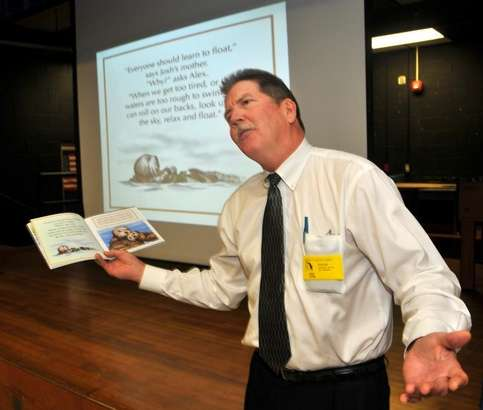 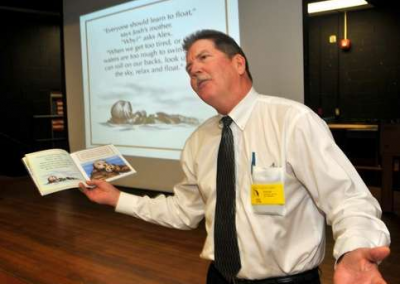 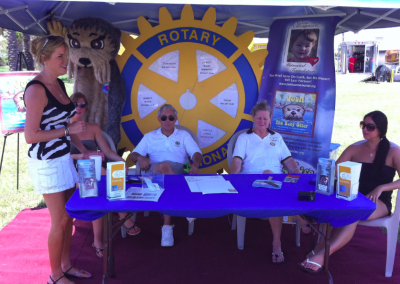 Book reading by Rotarians in Merritt Island, Florida. 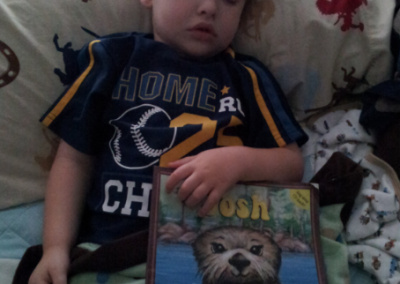 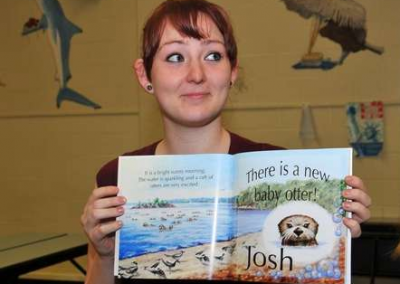 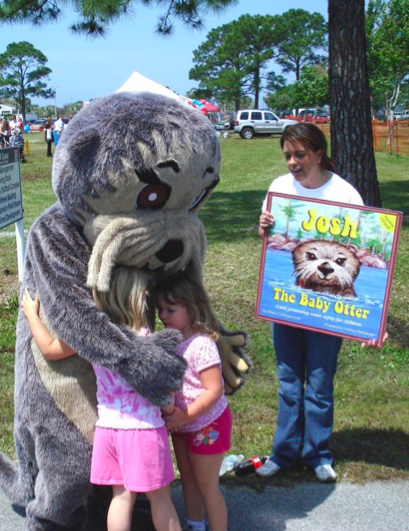 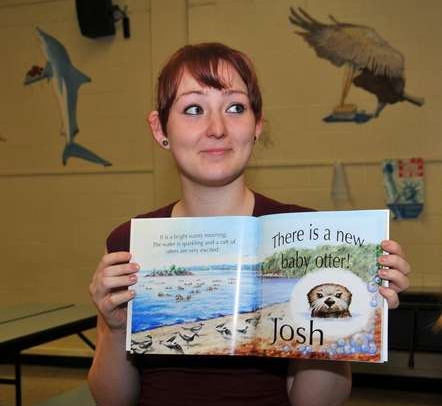 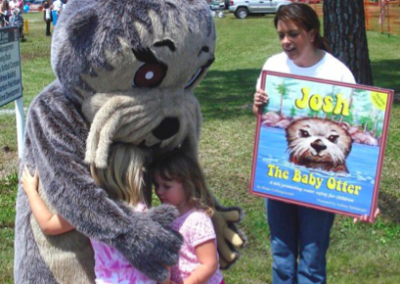 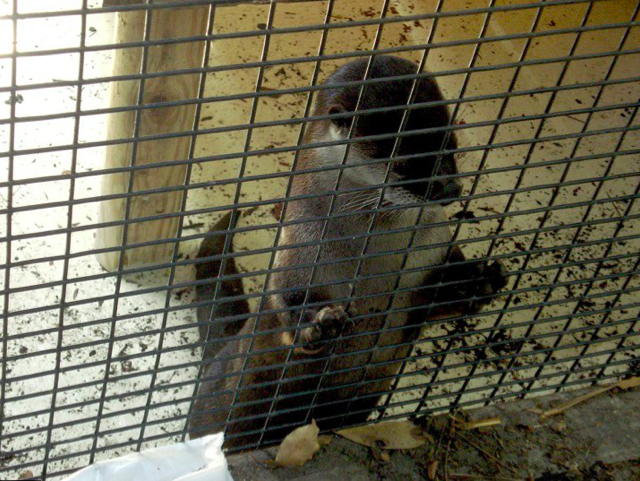 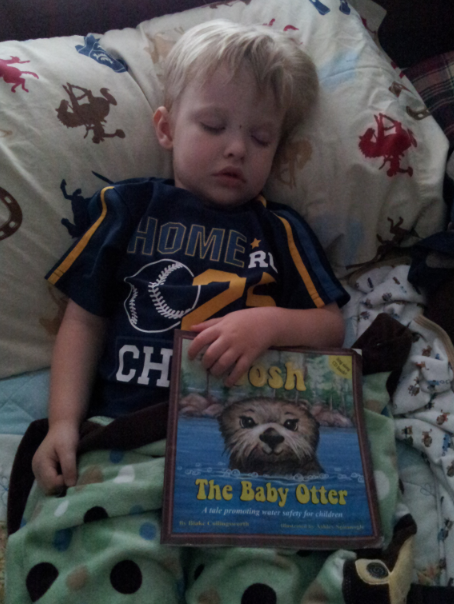 With the help of Rotarians, Panama City Zoo names one of their otters “Josh” after Josh the Baby Otter book! 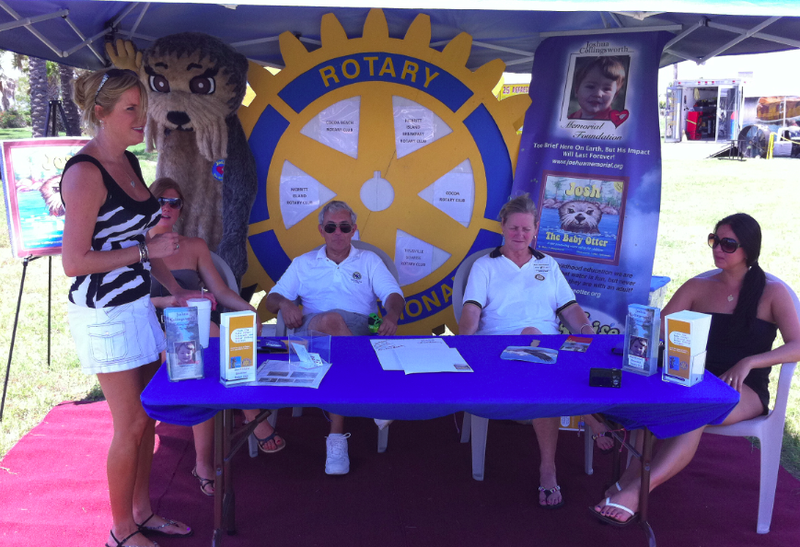 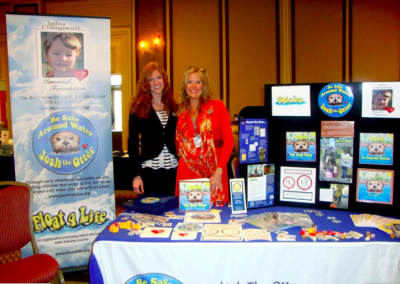 Kidsfest event in Florida with the help of Rotarians! 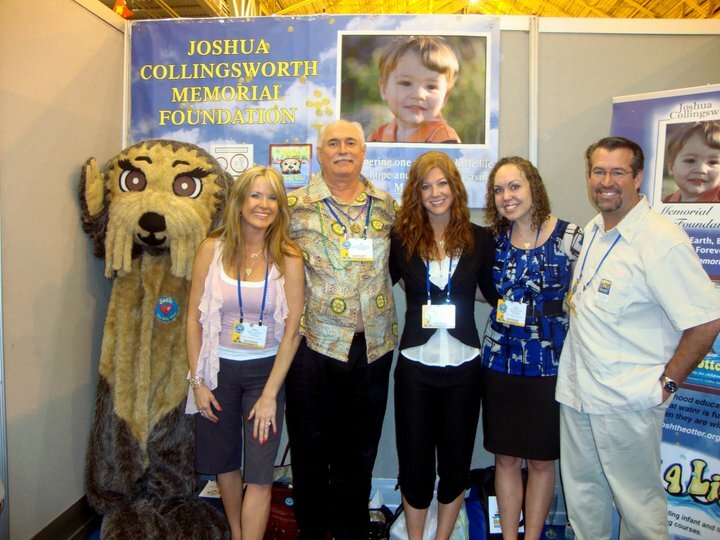 Rotary Ambassadorial Scholar Christina Dombrowsky helps Florida Rotarians with presentations! 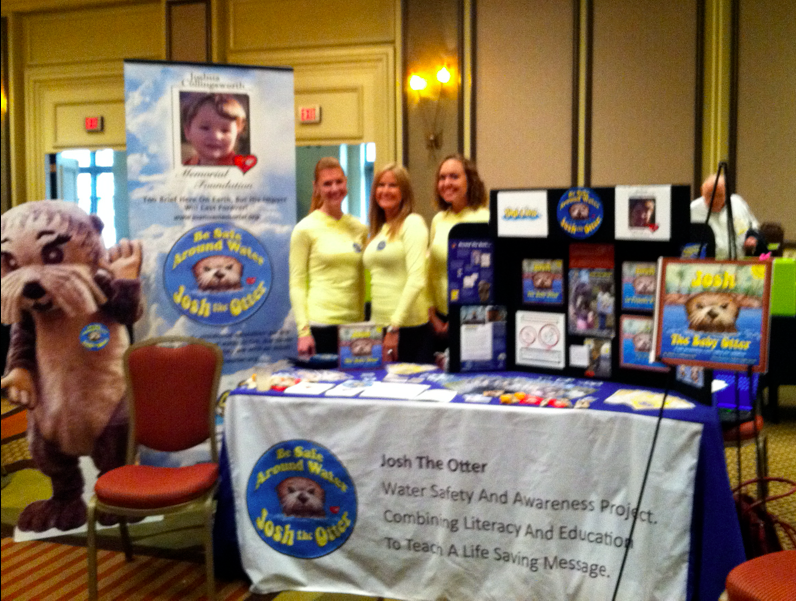 Florida Rotarians helping out on Josh the Otter Spotter Day! 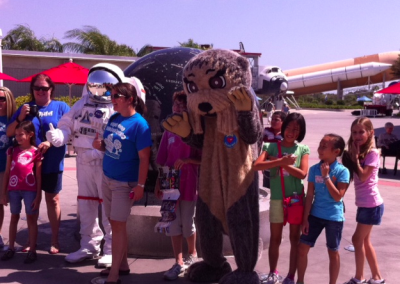 Helping again with Otter Spotter Day in Florida at NASA! 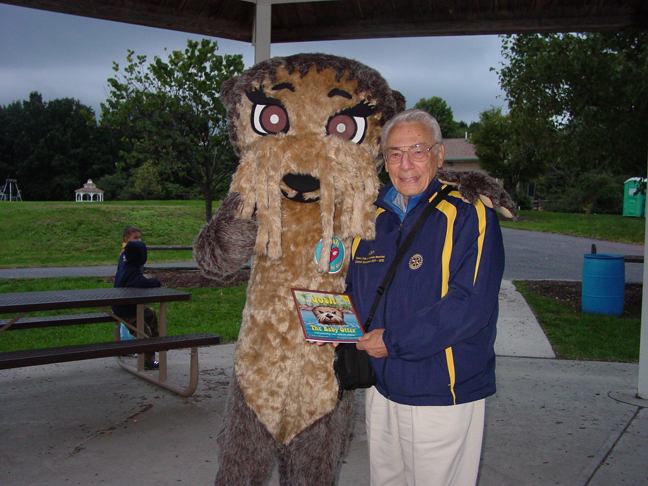 Josh the Otter in New Jersey with DG 7640 Alan Stein! JCMF Co-Founder Kathy Collingsworth, Art Director Ashley Spitsnogle, and Projects Manager Laura Thomas at 2011 Rotary International Zone 33-34 Institute (Washington, D.C.
JCMF Co-Founder Kathy Collingsworth and Art Director Ashley Spitsnogle at Josh the Otter booth at 2011 Zone 33-34 Institute in DC. 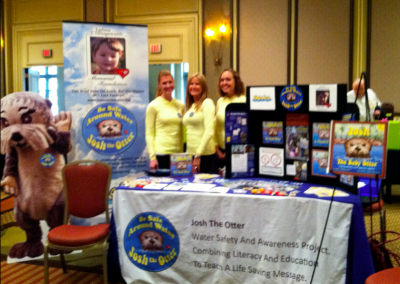 Josh the Otter Networking with Rotarians in New Jersey! 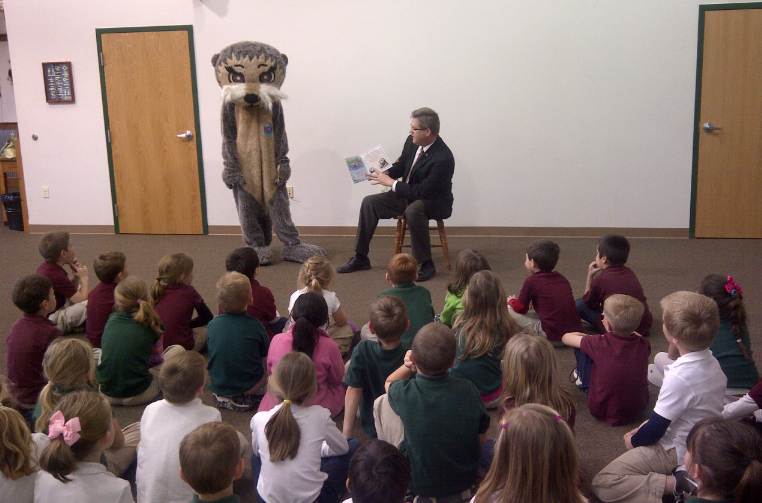 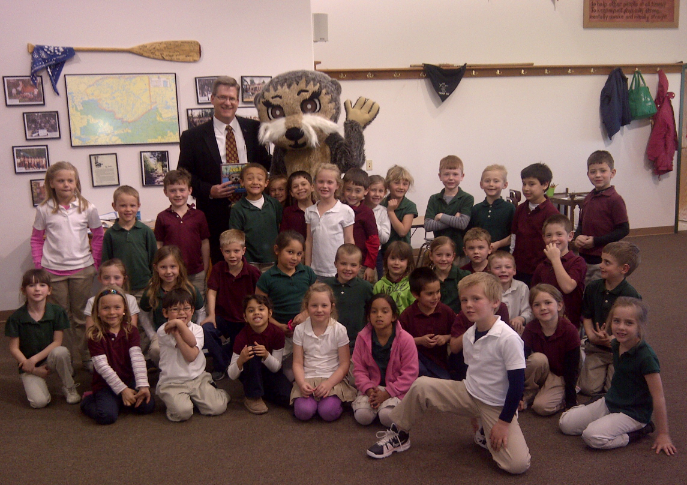 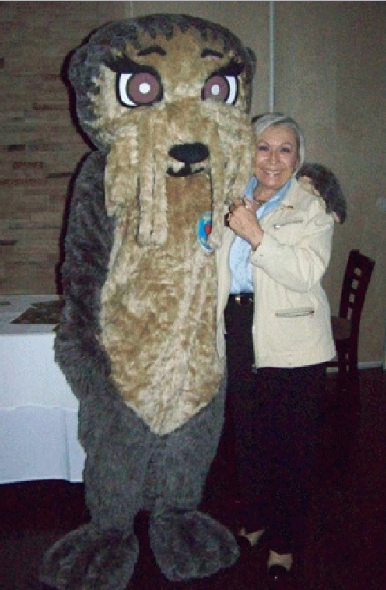 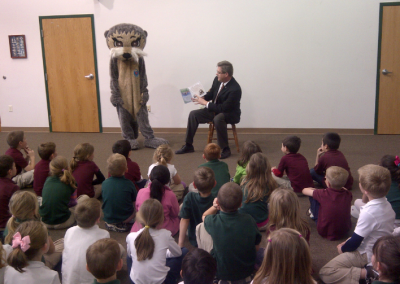 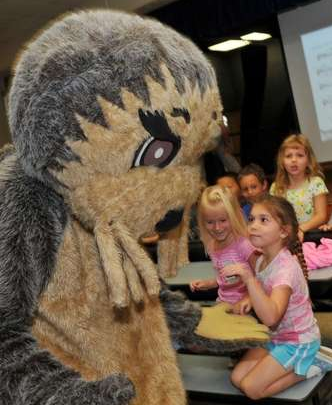 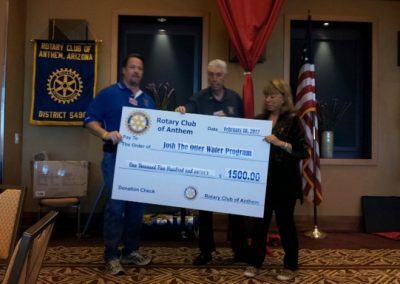 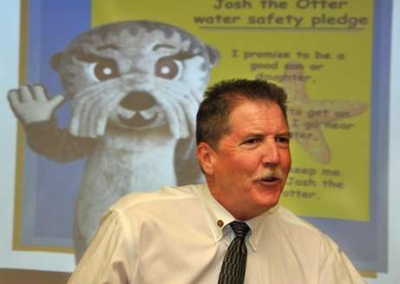 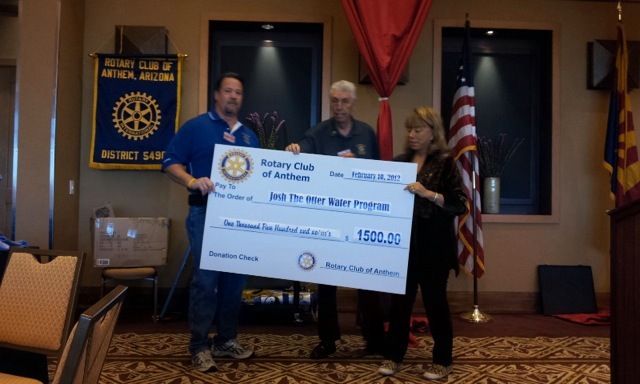 Josh the Otter goes to Anthem, AZ Rotary!